Updated blog design | photography downside. How many hours have I hacked, stabbed, mauled, wrestled with and mangled some code to tweak my website/s? Days (i.e., months) fiddling with photoshop, trying to learn how to process an image. Upgrading software, learning software, relearning software, replacing software, trialling software, etc, in the interest of my photography. Those hours could’ve been spent in the woods. Just in the last week I’ve spent more time manipulating zeros and ones than a decent lifetime might ordinarily involve. Part of that time, of course, was hacking away at wordpress software to redesign my blog here. No super major changes, as you can tell, but the few that I made, including the highly vaunted and much sought 2nd sidebar, were pretty much the limits of my coding expertise. Hacking with a dull blade leads to bleeding at an inordinately high rate. I’ve tested the design on my mac, on firefox, safari, chrome and Opera, and it runs OK, everything seems to be in its place. If you see something that looks awry, I’d appreciate a headsup – particularly if you use a PC (do real people actually use those things?) and/or Internet Explorer (which begs the obvious next question, “why?”) 🙂 Thanks. “Would it dwell chauvinistic respect exchanging links?” – the author of that gem is named “wizualizacje”. Oh, and the banner was a suggestion from a friend; he asked, “why call my site ‘Skolai Images’ and then not have a banner that somehow relates to Skolai?” Valid question, I thought. 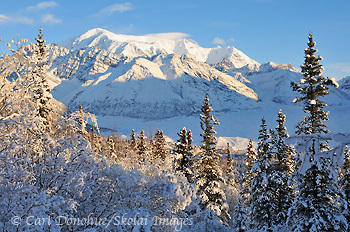 Skolai, if you saw this post, was a nickname given the Ahtna Chief who lived in the area when the region was first explored by the US Army years ago. 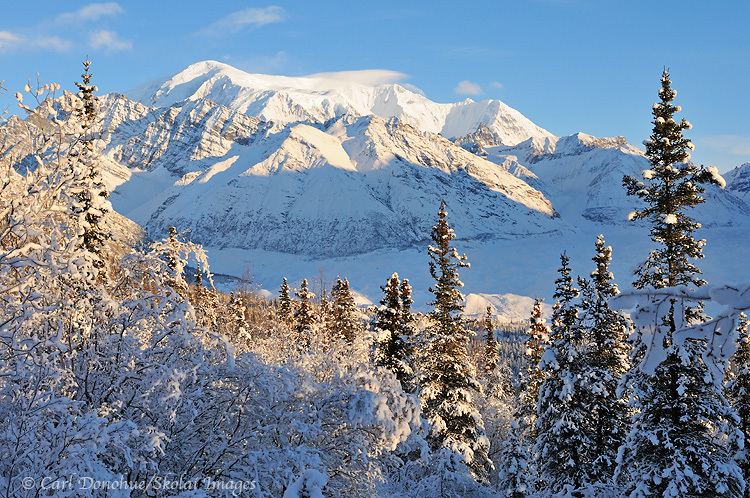 My friend suggested I need at least a photo from the region, Wrangell – St. Elias National Park, to represent the name. So I added this panoramic of Mts Drum, Sanford, Zanetti and Wrangell. Add to all this keywording; the digital age version of watching dead grass not grow. Add to that blogging. Add to that looking for dropped lens caps, lost shutter release cables and polariser filters. Add to that browsing B&H Photo’s website drooling over new gear. Add to that magazine submissions (and isn’t THAT just the perfect term ?). Photography does, then, get in the way. And right now, much of it is getting in my way. And I’m not happy. Life behind the scenes of site maintenance is a scary place. You shouldn’t be taking so many people into that dark place with you no matter how many of us have seen it! But I would propose that it is maintaining an online presence that is the real culprit vs. photography itself. If it weren’t for that, who the heck cares about keywording, PHP, browsers, etc, etc. It is the desire to have our photography connected to the world that has brought us into the digital dungeons. About those spammers, I haven’t had the issue, strange. Maybe it is the secondary spam plugin I installed awhile back that asks people to check a box to confirm they are not a spammer. I thought it as a bit more quick and easy than a captcha people have to figure out. That has drastically reduced the amount of spam that sneaks past Askimet for me. * how do you separate the 2. Particularly if you’re at all interested in (or committed to) selling your work. Photography involves “maintaining an online presence”, to some degree, I think. Even just the learning curve of software both consumes time and requires some form of online presence, IMO. * is part of ‘art’ connecting to the world? The old “if a tree falls argument”. Is it really music if no one hears it?